Clashes erupted between residents and government forces in Indian-administered Kashmir’s main city Saturday, a day after a teenage boy was killed, allegedly by a rubber bullet fired by police. 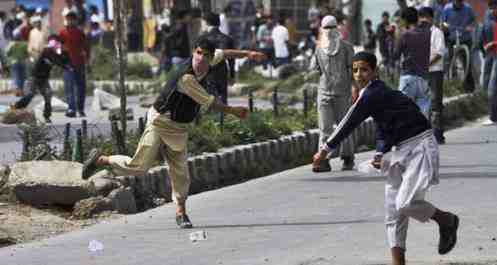 Shops, businesses and schools were closed and public buses stayed off the roads in Srinagar to protest the boy’s death. The 17-year-old student, Tufail Ahmed Mattoo, died late Friday after being hit in the head by a rubber bullet fired by police during a protest against Indian rule, resident Shakeel Ahmed said. He said Mattoo was not part of the protest and was carrying his school bag when he was shot. Police called the death « mysterious » and said they were investigating it. « We’re waiting for the medical report. But apparently it seems he was hit by a heavy object, » said Hemant Lohia, a top police officer. Police and paramilitary soldiers fired tear gas to quell the protests in several places in Srinagar, a police officer said on condition of anonymity in keeping with department policy. He said angry protesters pulled down at least two paramilitary bunkers in the city. Anti-India sentiment runs deep in the Muslim-majority region, where rebel groups have been fighting for Kashmir’s independence from India or its merger with neighbouring Pakistan since 1989. The region is divided between India and Pakistan and is claimed by both. More than 68,000 people, mostly civilians, have been killed in the uprising and the subsequent Indian crackdown.